Mack is tending to a sprained knee and will not be available for this month's Pro Bowl, Patrick Finley of the Chicago Sun-Time reports. 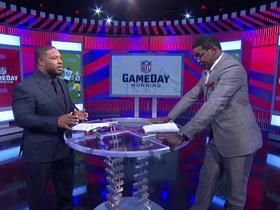 Analysis: Mack appeared to suffer the injury during Chicago's wild-card game against Philadelphia. While this doesn't seem to be a major issue for the Bears, it's not clear if Mack is expected to be ready in time for OTAs this spring. The Giants' Olivier Vernon is slated to replace Mack in the Pro Bowl. Mack finished the regular season with 47 tackles, 12.5 sacks and six forced fumbles over 13 games. 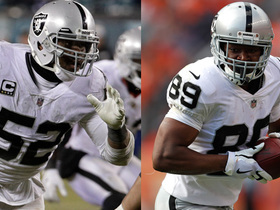 Analysis: Aside from an ankle injury that cost Mack a few games and limited him in a couple others, he routinely terrorized opposing quarterbacks by averaging just about a sack per contest. He's signed with the Bears through 2022, and he'll be one of the first IDPs selected in next year's fantasy drafts, based on his ability to be an every-week playmaker. Mack notched 2.5 sacks while adding six tackles in the Bears 24-17 win over the Packers. 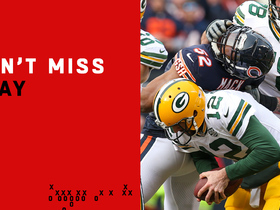 Analysis: Mack took full advantage of the Packers' depleted offensive line, leading to his highest sack total of the campaign. He's racked up 7.5 sacks in the six games since he returned after missing a pair of games due to injury, and he'll continue to be an elite weekly lineup option. 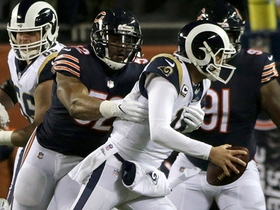 Mack notched a sack and three tackles in the Bears' 15-6 victory over the Rams. 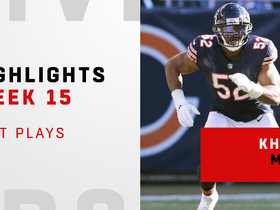 Analysis: Although he hasn't had more than five tackles in any game this season, Mack has collected 10 sacks in 11 games, making him a consistent high-level IDP performer. 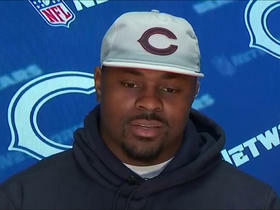 Mack collected a sack and five tackles in the Bears' 30-27 overtime loss to the Giants on Sunday. Analysis: Mack now has four sacks over the last four games and nine on the season; he'll continue to be big-play specialist for fantasy owners. Mack recorded a sack and two tackles in the Bears' Week 11 victory over the Vikings. 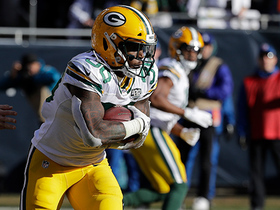 Analysis: As always, Mack was a major disruptive force, helping the Bears slow down the Vikings offense until a pair of late touchdowns. With eight sacks in eight games played, he'll continue to be an elite IDP. Mack collected two sacks along with five tackles in the Bears' 34-22 win over the Lions. Analysis: After missing the last two games with an ankle injury, Mack returned to his dominant ways as, he now has seven sacks on the season. 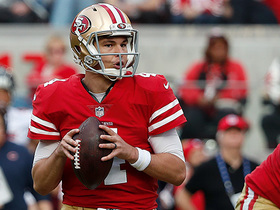 Now that he's healthy, he'll be an elite weekly fantasy option. Mack (ankle) doesn't have a designation on the final injury report for Sunday's game against the Lions. Analysis: Mack was a full practice participant throughout the week after sitting out the previous two games. His return is a major dose of bad news for Matthew Stafford and the rest of the slumping Detroit offense. Mack (ankle) practiced fully Wednesday. Analysis: Mack attended the team's walk-through session and proceeded to handle every rep, a positive sign for his Week 10 status. Barring a setback with his right ankle, he's in line to put an end to a two-game absence Sunday against the Lions, who allowed the Vikings to sack quarterback Matthew Stafford 10 times in Detroit's Week 9 loss. Coach Matt Nagy called Mack (ankle) day-to-day Monday. Analysis: Mack has missed two consecutive games due to a sprained ankle, but he appears to be nearing a return to the field. The star linebacker's participation in practice this week will warrant monitoring, and he should be considered questionable for Sunday's divisional tilt against the Lions for the time being. Mack (ankle) is inactive for Sunday's game against the Bills. Analysis: Word surfaced late Saturday that Mack would likely be sidelined for a second consecutive game while he managed the sprained ankle, so his inactive status doesn't come as a surprise. With Mack in street clothes, Aaron Lynch and Leonard Floyd are expected to serve as the Bears' starting outside linebackers. 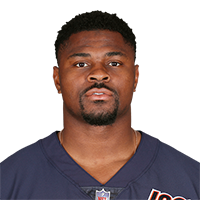 Mack (ankle) is listed as questionable for Sunday's game against the Bills, but the Bears are expected to hold him out of the contest, Adam Schefter of ESPN reports. Analysis: Mack first suffered the sprained ankle in the Week 6 loss to the Dolphins. He played the subsequent week against the Patriots but didn't look himself, prompting the Bears to hold him out of their Week 8 win over the Jets. The linebacker reportedly showed improvement in practice this week, but the Bears apparently aren't yet ready to unleash their top edge rusher with his season-long health in mind. Expect the Bears to officially rule Mack out after evaluating him during pregame warmups. Mack (ankle) returned to practice Friday as a limited participant and is listed as questionable for Sunday's game at Buffalo, Colleen Kane of the Chicago Tribune reports. Analysis: Mack followed the same pattern last week when he managed a single limited practice before being held out of a 24-10 win over the Jets. A soft Week 9 matchup favors a cautious approach, but the Bears might decide to unleash Mack if his ankle feels good Sunday morning ahead of a 1 p.m. EST kickoff. Chicago Bears linebacker Khalil Mack uses his back to sack Green Bay Packers quarterback Aaron Rodgers on third down. 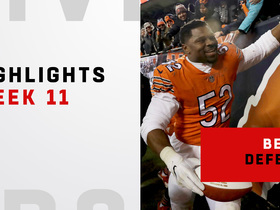 Watch the best plays from Chicago Bears linebacker Khalil Mack Week 15 when he faced the Green Bay Packers. 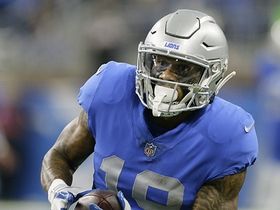 Detroit Lions wide receiver Kenny Golladay catches a short pass across the middle and makes defenders miss on his way to a 23-yard gain on third down.